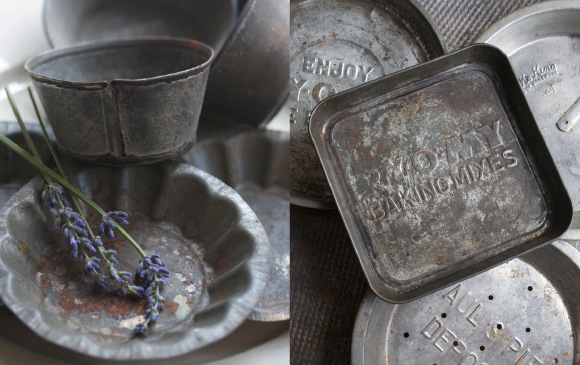 recent obsession: anything tiny, old and metal with a great patina like these wonderful, diminutive tartlette tins and little ramekins that show every bit of their age and will look so amazing on film! I want to be a ramekin (what a great word!) and be able to show every bit of my age and still look amazing on film!